executive order as soon as he moved into the White House. Simply put, executive orders cannot contradict statutory law. President Obama’s Patient Protection and Affordable Care Act. observes, the ultimate goal must be total repeal? scant attention in the mainstream media. But it spotlights a major vulnerability Romney would face as the GOP candidate in 2012.
on the rest of the country. rare willingness to share credit. 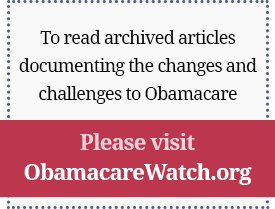 How does Romney’s new solution remedying ObamaCare through waivers differ from Obama’s position? government control in a different way. Romney’s plan to issue an executive order is merely a derivative of the president’s position. would very likely collapse as an issue. vastly more powerful federal government. Romney still seems to have a tough time grasping its central importance. Published on Investor’s Business Daily, April 2, 2011.